Agfact #20 Agriculture is everywhere. Farmers and Ranchers provide more items in your life than the food you eat and feed for livestock. Agriculture products are often grouped into Food, Fiber and Fuel. However, every day you utilize items made from raw materials produced on farm or ranch. Test your knowledge. 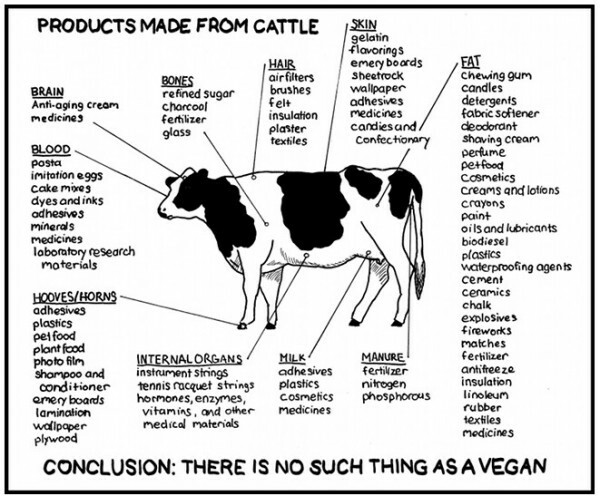 I have gather graphics and list of non-food products from livestock and crops. This just some of the items. It takes all U.S. Farmers and Ranchers to produce the items you use every day. The important thing to remember is YOU are part of agriculture from the food you eat to insulation in your house to biofuel in your car. Agriculture is important part of your life and important part of U.S. Economy. Adhesives, Anti-corrosive agents, Anti-static agents, Asphalt emulsions, Caulking compounds, Core oils, Cleansing Materials, Cosmetics, Diesel fuel, Disinfectants, Dust control agent, Electrical insulation, Epoxies, Films for Packaging, Fungicides, Herbicides, Inks-printing, Insecticides, Leather substitutes, Linoleum backing, Metal-casting/working, Medicine, Oiled fabrics, Paints, Particle Board, Pesticides, Pigments, Plastics, Plywood, Polyesters, Protective coatings, Putty, Rubber Manufacture, Soaps/shampoo/detergents, Textiles, Texture Paints, Vinyl plastics, Waterproof cement, Wallboard, Wetting Agent.